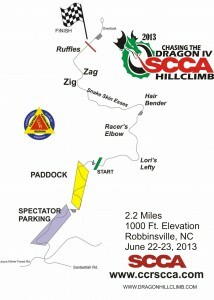 Every year CCR presents the Chasing the Dragon Hillclimb in Robbinsville, NC as part of the Southeast Division’s TT schedule. For 2019, it will be held on August 10-11. For event info, check here. It’s your chance to really drive that car like you’ve always wanted or to try that track car out on the street! Use both lanes of a closed road that gains 1200 feet of elevation over its 2.2 mile course, through tight turns and twists… and some of the most beautiful mountain scenery on the planet! Test your skill, your car and your courage and make some great friends in the process! This is a family friendly event with several viewing areas along the course, food and souvenir vendors and free shuttle buses to haul spectators up and down the mountain! You can drive, volunteer or spectate! Volunteers get a free room for the weekend and it’s always free to come watch! 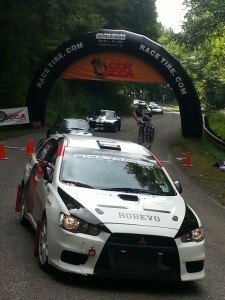 Hillclimbs are the fourth and top level of the Time Trials program. There are no safety fences or safe run-offs, so full safety gear is mandatory as it’s just you, your car and a mountain road. And, like all time trial events, the fastest time wins!The hillclimb site offers grass paddocks along the road side leading to the course. Most areas are wide enough to accommodate an enclosed car trailer and there is a large, secure area for open trailer storage. You don’t have to worry about leaving your equipment on the hill, the event site is guarded at night by the Graham County Sheriff’s Department. If you are not currently an SCCA member and wish to participate in the hillclimb, download and print the Time Trials License Application and the SCCA Medical Examination Form. For a Novice TT License, you will need to fill out the self physical portion and send it in along with the completed application and $35. Here are several documents to help you with the details you need to get started! This file outlines driver requirements, car and safety requirements and general rules of conduct: Track Trials and Hillclimb Driver Information. This page contains detailed information: SCCA General Competition Rules If you’re having trouble classing your car or you need other information that isn’t listed here, please ask for help in the forums or the CCR-SCCA Facebook group. There are lots of knowledgeable people there that are happy to help!